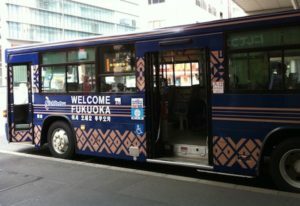 I was fascinated by the navy blue bus in Fukuoka City. 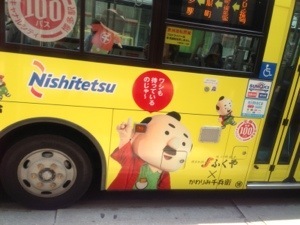 The incident made me take photos of Nishitetsu Bus running in and around Tenjin and Hakata. Walking down Watanabe Street was really scary a few years ago. But now I feel much comfortable with small numbers of bikers on the sidewalks. Now I’m in my 50s with farsightedness. and blogging with WordPress App. 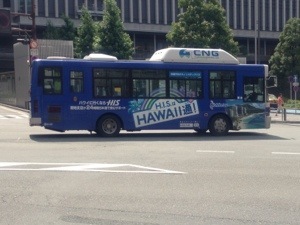 The Blue bus is good looking, too. You see the presence of Eddie Bauer. You see Eddie Bauer’s Logo in the photo. 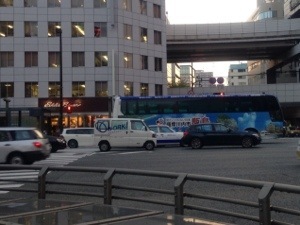 Several kinds of Mentaiko Promotion Buses are running in Fukuoka City. Kawarimi Senbei is a chubby man of Fukuya. Multi-cultural delicious food is a foundation of human peace. 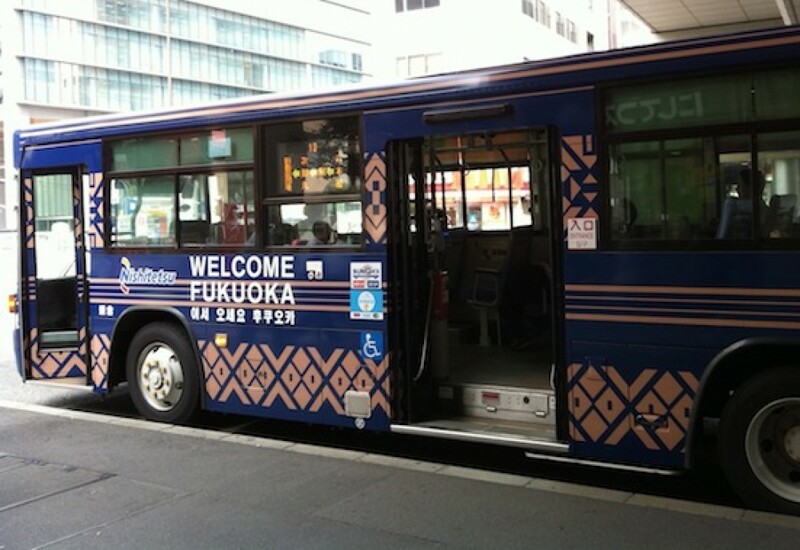 Fukuoka is an interesting example. Fukuoka is an international city near Korea. Expedia tells you popular hotels in the Fukuoka city. 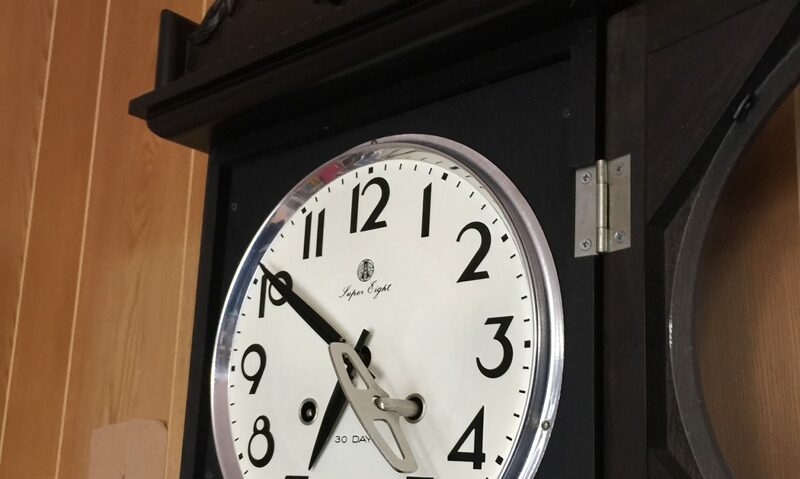 If you want me to rewrite an article in English, please leave a comment. English, Korean, Simplified Chinese, Traditional Chinese and Japanese.